International Symposium on “Realizing Low Carbon Cities in North-East Asia"
The International Symposium was jointly organized by UNESCAP East and North-East Asia Office and the Chinese Academy of Social Sciences to review and discuss key issues on low carbon city (LCC) development in the subregion, and to exchange views on the potential of forming a subregional LCC partnership network. The symposium and the workshop came to the conclusion on the need to launch a cooperation partnership for information sharing and capacity building, as practical means to address the needs expressed by countries and to support city initiatives in moving towards low carbon pathway. 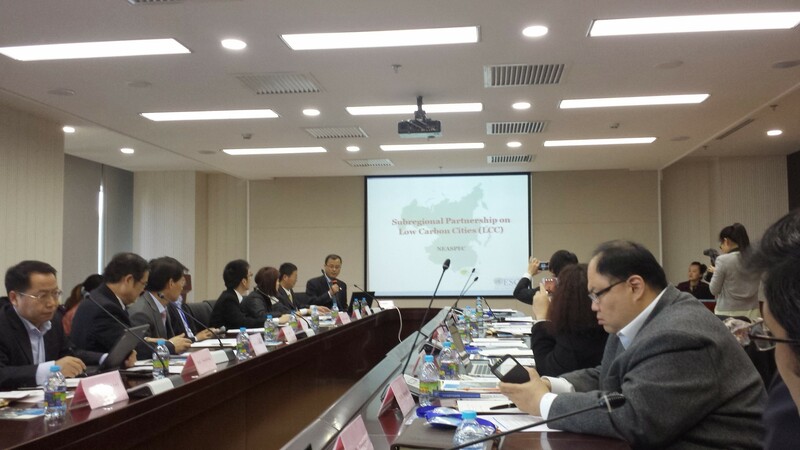 » International Symposium on “Realizing Low Carbon Cities in North-East Asia"